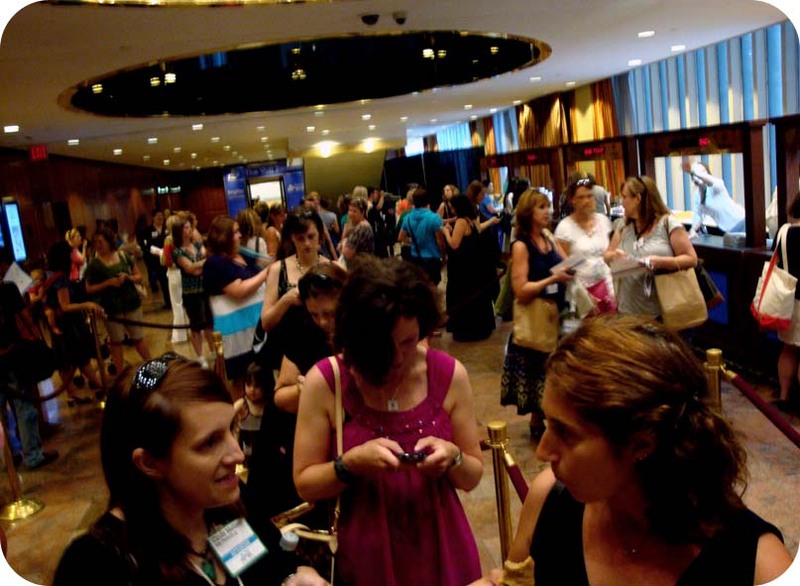 I decided to split the BlogHer recap into sections because I think it will be easier for people who are interested in going to BlogHer in the future to get the information they are seeking. Today’s post is about my experience as a BlogHer Volunteer. If volunteering is something you are interested in doing as a way to cut costs, I highly recommend it. I would not have been able to attend this year if it weren’t for the fact that I was accepted as a volunteer. My official title was “Registration Desk Sentinel” which is pretty rad. I mean really. I met so many awesome people by hanging at the Desk that I am worried I won’t be able to match the face with the business card! But it was so worth it. It was a lot of work and while it took some of my energy to stop “attending” and get to work, it was a great time. I am SO thankful for the opportunity. If you are interested in volunteering with BlogHer in the future, here are my tips! 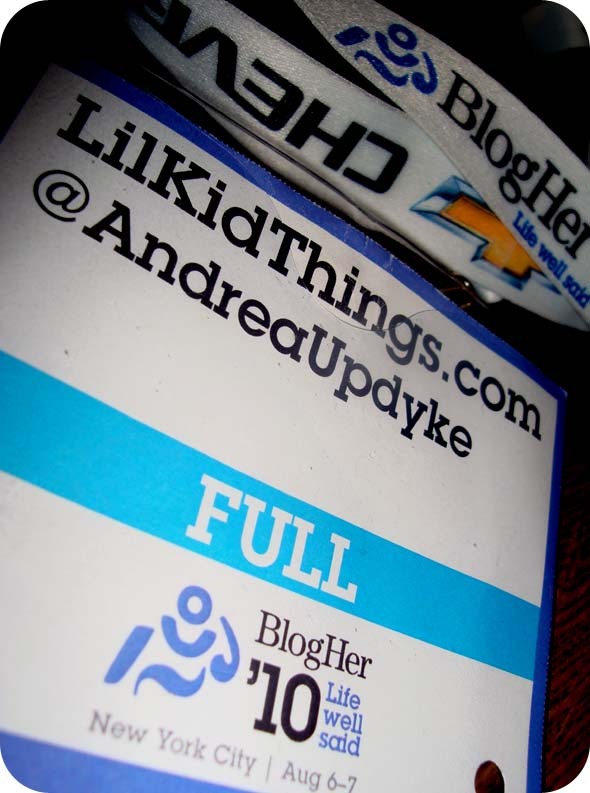 I can’t tell you how many people asked me “how I knew all that” about Blogher when this was my first year. And all I could say was, I have been planning this trip since I read about last year’s conference in Chicago and planning as I went along. I found out when the cutoff for early bird rates was and started trying to save money. My friend Beth alerted me to the Volunteer Program which I immediately applied to. This year, the applications were only accepted between February 1st and February 15th, a very small window! So I would suggest keeping an alert open or subscribing to the BlogHer Conference feed so you can be ready. BlogHer, as many have said already, is a crazy non-stop whirlwind of activity, sessions, parties, and networking with other bloggers and brands. I never would have made it without a schedule! I made a schedule and I scheduled EVERYTHING. Even eating. For real. And even then it was crazy. On Friday morning, I made sure I was ready 30 minutes before my 7am shift began so I could run across the street to grab coffee and a bagel. That was the last time I sat down until almost noon! And because I got behind on a few things, I didn’t eat anything again until dinner that evening. Crazy. Mad. Busy. For me, volunteering was a fun part of my BlogHer experience. I wanted to enjoy it and get as much out of that part of the conference as I could. There is a lot to learn from the people behind the scenes and I was really thankful to be a part of it. It can be so easy to attend an event and completely overlook the hours upon hours of preparation that it took to get there. Boxes and BOXES of lanyards and name tags and conference guides all have to be unpacked and distributed. The boxes need to be broken down and removed. The swag bags need to be accessible but safeguarded from people who think one just isn’t enough. My experience was that this desk was a well oiled machine. The volunteers I worked with were glad to be there and tried their hardest to help everyone that approached. And if we couldn’t help, we sent them over to the BlogHer staff who were 10 times as busy as we were! Realize that while Volunteering is a fun way to meet new people and learn about the conference, it is also a job. The term volunteer is misleading because you ARE getting paid to work. I didn’t have to pay the conference fee in exchange for my 7 hours of labor and that is the sole reason I was able to attend. I took the job seriously and I worked. I had to make my schedule around my scheduled shifts and that meant missing out on some things (like the Newbie breakfast). Being on time and doing your assigned job well are essential to making the volunteer system work. And when you are doing that, everyone is happy. I absolutely loved my BlogHer experience. And while volunteering was just part of it, I am so thankful that I was given that chance. And if you are reading this and trying to decide about next year, I encourage you to apply! Because San Diego? Yes, please. Sounds amazing and as a first year attendee myself, I was so impressed by how well oiled the BlogHer machine was. Thank you for keeping everything running smoothly! My recent post What happened at BlogHer…is going VIRAL! It was crazy wasn't it?! I'm glad you had a good time! Link away friend! I would totally do it again in a heartbeat too! I'm so glad that I could be a Reg Desk volunteer and meet you! It was tough to get up so early every morning (especially when I was staying up past 2 am every night), but so fun to meet the people checking in. Hope to see you next year at BlogHer '11! I hope to be there too! It was so much fun! I briefly met you at BlogHer while you were busily volunteering! And you were I thought especially sweet and kind- so I remembered you! 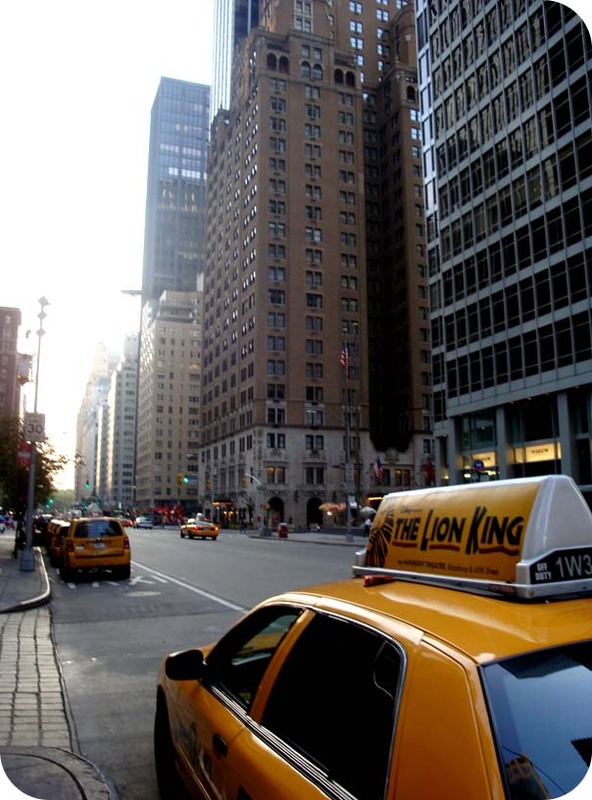 So glad to stumble onto your blog (through 5 minutes for mom link up! ).